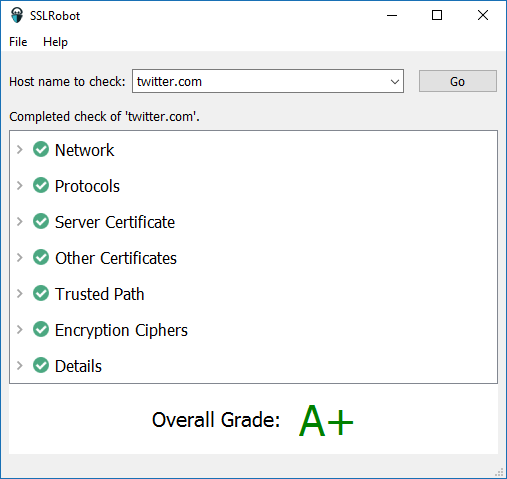 It now uses the locally installed root CA certificates (Windows or MacOS) to support servers that use custom in-house generated SSL certificates. 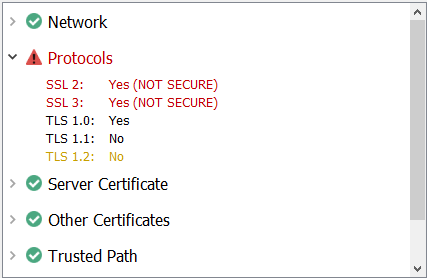 The Network section displays detailed information about the operating system’s proxy configuration. 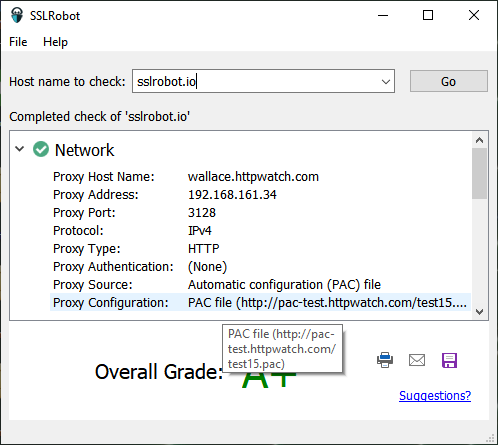 It’s free to use with any host name although the extended features such as save, print and email require a license key or an in-app purchase from the Mac App Store. 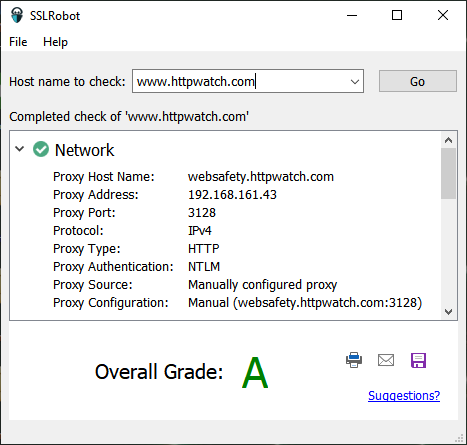 Item 2) means that SSLRobot can be a useful tool for debugging and verifying proxy settings even if you don’t need to check the SSL/TLS configuration. 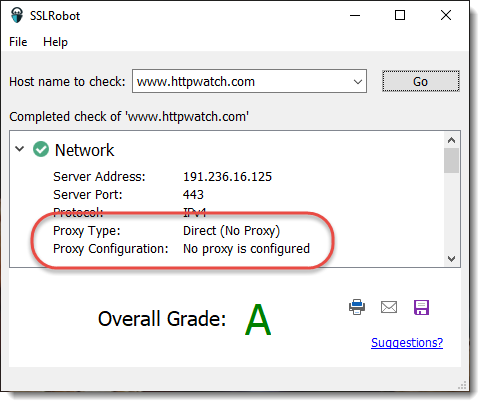 Just type a host name into SSLRobot and expand the Network section to see the system proxy configuration. While this information is useful, our customers have asked for more detail about certificates, protocol versions and other aspects of the server’s configuration. 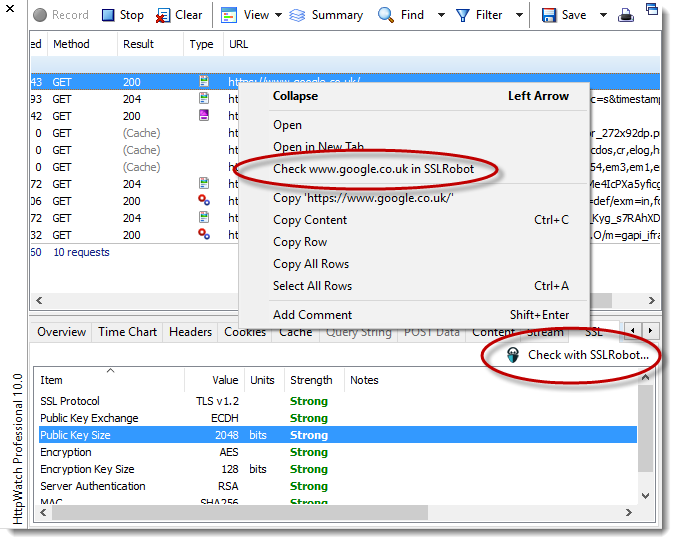 There are online SSL tools that can do this but tests are often slow and cannot be used to investigate servers on local networks or in test environments. 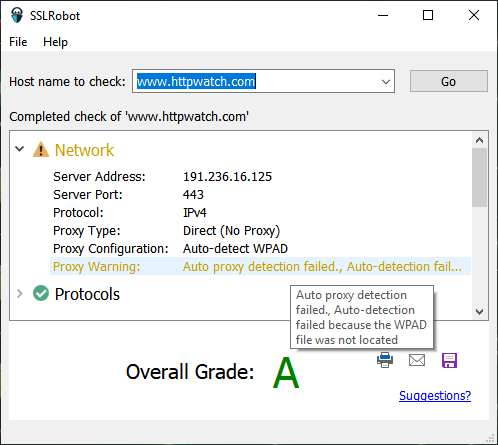 HttpWatch 10 for Windows and iOS now includes a feature that will mask out the passwords for most commonly used login pages. It works by looking for form submits where the POST parameter name suggests a password or some other form of sensitive data. Any POST field that meets the matching criteria will have each character of input replaced with an asterisk (*). 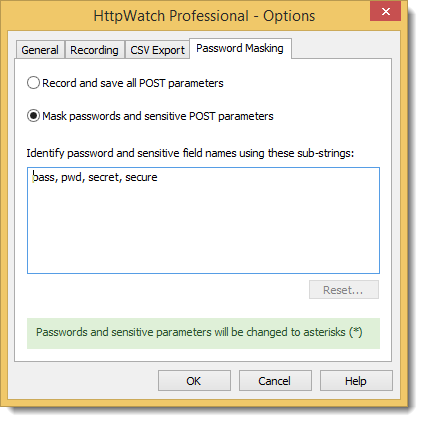 Although the actual password was sent to the web server, HttpWatch only records the masked version of the password in the Stream tab. 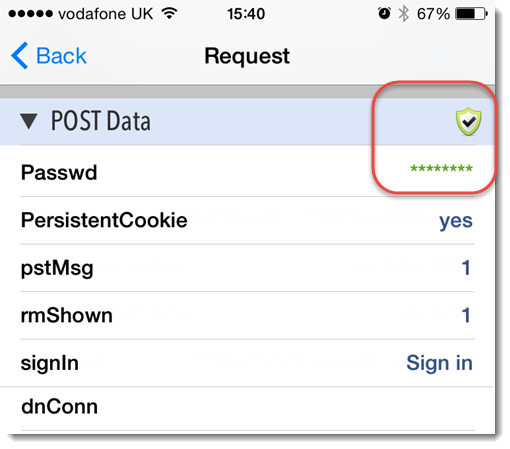 You could change the list if a password field is not being masked or if you want to turn off the feature completely. The password masking feature doesn’t hide the length of the underlying password as it uses a character for character substitution. Cookies used for session management are still recorded in the log file and could be re-used to access the logged in session if they have a long expiration time. 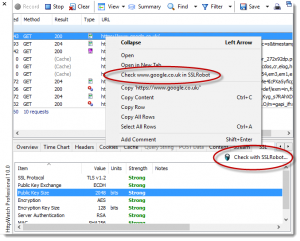 However compared to previous versions, the masking of submitted passwords is a significant improvement to security when sharing log files with third parties.